Oxford University and Evotec’s drug discovery partnership launched last November to accelerate drugs to market begins making awards. 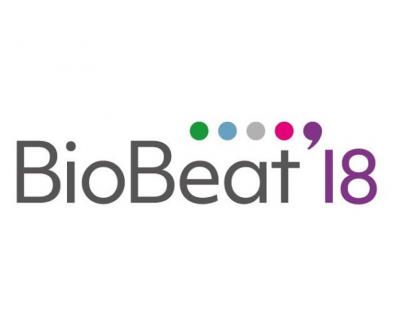 Evotec AG (Frankfurt Stock Exchange: EVT, TecDAX, ISIN: DE0005664809) is pleased to announce that LAB282, the £13m drug discovery partnership with Oxford University, has made its first wave of awards, backing projects targeting cardiovascular diseases and infectious diseases. Launched last year in November as a partnership between Oxford University, Evotec, Oxford University Innovation and Oxford Sciences Innovation, LAB282 aids the rapid translation of research outputs into new drug discovery and development programmes. It draws on expertise provided by Evotec and combines it with pre-clinical proof-of-concept grant funding to accelerate projects into a position where they can be commercialised and scaled up efficiently and effectively. DarTG – A potential new target for the development of antibiotics that could shut down tuberculosis and several other pathogens. Evotec will exclusively contribute its drug discovery expertise and platforms to the selected projects and together with Oxford University and its academic researchers develop them further with the aim to have a pre-clinical proof of concept for new drugs. The next round of grants awards is due in June 2017. The “drugs from bugs” project will be looking to develop evasins, which are peptides derived from the saliva of ticks. Ticks have been around since the time of the dinosaurs, and have been evolving these peptides to block chemokines, which are proteins in the body that recruit inflammatory cells to the site of injury. The research team led by Professor Shoumo Bhattacharya have developed a new ‘Bug-to-Drug’ technology to find these tick peptides in order to treat inflammatory and fibrotic diseases that are currently incurable. In this project, they will use these peptides to target chemokines that cause giant cell myocarditis (GCM), a rare autoimmune disease with no cure. GCM usually affects young adults, progressing rapidly to heart failure and death. There is no specific treatment except for a heart transplant. The second project, with Dr Ivan Ahel, looks to validate translational research on DarTG toxin-antitoxin system, a pathway found in tuberculosis. Essentially a back door around tuberculosis’ defences, DarTG could be a potential target for small molecules, which could shut down the bacteria. If the project demonstrates that DarTG is the pathogen’s Achilles’ Heel, it will pave the way for a new class of antibiotics. Aside from offering a potential new therapy for tuberculosis, which will become a greater threat as antibiotic resistance increases, DarTG could also be a weakness in Escherichia coli, superbug Klebsiella pneumonia, and other gram-negative pathogens. LAB282, initiated in November 2016, is a new £13m partnership between the Oxford University, Oxford University Innovation Ltd, Oxford Sciences Innovation plc and Evotec AG created to identify and develop new approaches to treating serious diseases, which originate from the Oxford University. The goal is to accelerate the achievement of pre-clinical proof of concept for new drugs and to generate new spin-out companies. The name derived from the pantone colour code of “Oxford Blue”. For more information, please visit www.lab282.org. The University of Oxford Medical Sciences Division is one of the largest biomedical research centres in Europe, with over 2,500 people involved in research and more than 2,800 students. The University is rated the best in the world for medicine, and it is home to the UK’s top-ranked medical school. Oxford Sciences Innovation plc is the world’s largest IP investment company dedicated to a single university. Founded in May 2015, we help turn Oxford University’s world-leading scientific discovery into innovative science and technology companies that can have a positive impact on society. We provide capital and expertise to businesses driven by intellectual property developed in Oxford’s Mathematical, Physical, Life Sciences Division and Medical Sciences Divisions. We are guided and powered by some of the world’s leading organisations, including Invesco, Woodford Investment Management, the Wellcome Trust and Lansdowne Partners. This article has been reposted with permission from the Evotec website.